This all mesh green hat is wonderful for those hot days out on the farm or out and about in town. The crown is nylon mesh with a cotton/polyester twill visor that will aid in keeping the bright sun out of your eyes while you are working or playing. The micropiping and undervisor fabric rolling over top edge, along with the fabric strap with hook-and-loop closure makes this classic green hat a one size fits most. 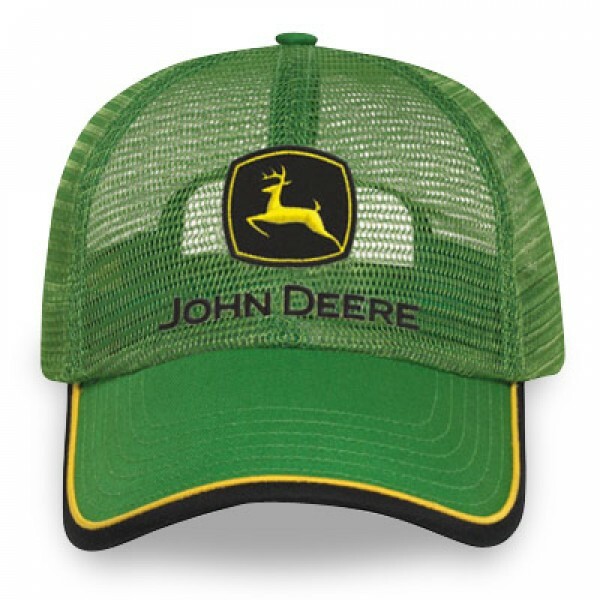 Embroidered on frontis the construction and forestry black and yelow John Deere leaping deer logo and the block letters that John Deere fans are proud to wear anywhere.